EYCE Newsletter #1: Welcome to the new EYCE newsletter! Welcome to the new EYCE newsletter! We are happy to send you the first edition of the brand new EYCE's newsletter! It took as a while to recreate it, but here it is! From now on we will send you the news and offer some of the EYCE's highlights hopefully 4 to 5 times a year. Enjoy your reading and we are looking forward to meet you at one of the EYCE's activities! If you do not wish to receive future issues, please feel free to Unsubscribe. ATTENTION: change of the dates for planned events in 2014! We would like to draw your attention to the two events that EYCE will still organise this year, but for which the dates have slightly changed from the foreseen ones! If you are one of our esteemed National Correspondents you are warmly invited to be part of the National Correspondents meeting! It will hosted by our friends from the EYCE's Romanian Member Organisation Evangelical Church of the Augsburg Confession in Romania, Youth section and it is going to take place from 17th to 20th October in a very nice and cosy village near Sibiu. This will be also a very good occasion to get to know EYCE's new campaign to overcoming poverty "Break the Chains!". Our last training course this year "Food, Land, Water" is now going to take place from 26th October to 2nd November in Dresden, Germany. It is planned as a follow-up event to EYCE's previous campaign about ecological justice and focus on the fair distribution of natural ressources. The venue is a real ship! The call for participants should be opened around end of august/ beginning of september. Young Europeans: We stand for sustainability and Eco-justice! 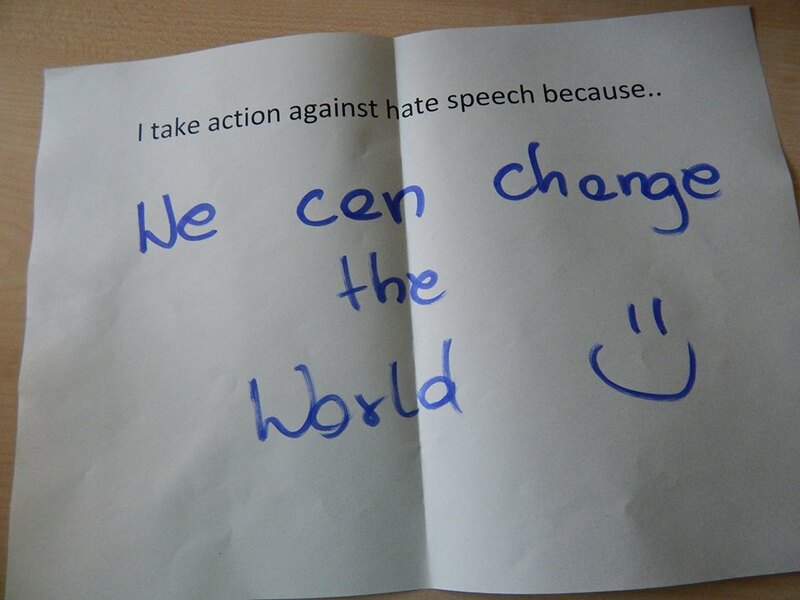 Young people gather to develop strategies and responses to hate speech! In a time of increased conflict around the world, it was refreshing to spend time with admirable young people from different faiths, beliefs and backgrounds who will be valuable assets to our society. It confirms my belief once again that the problem lies with our political leaders & not between religious believers. I pray we will grow to be more … Read more. 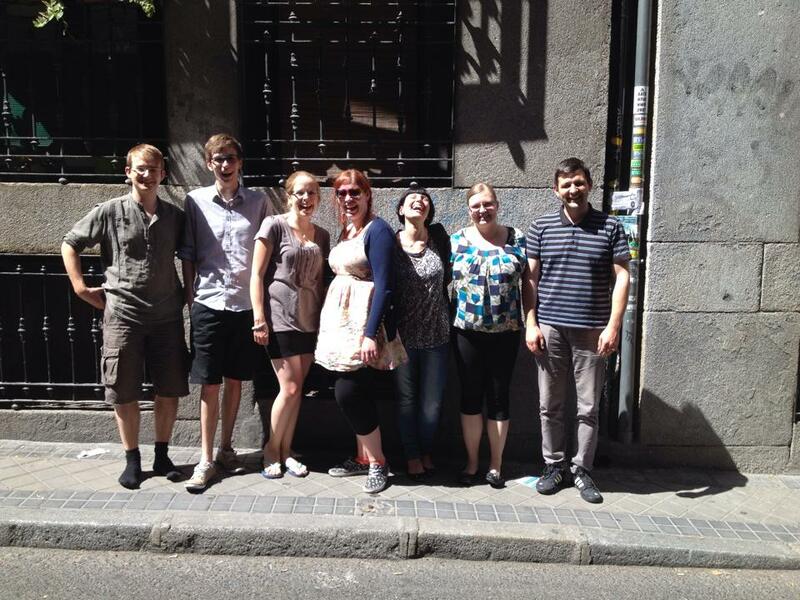 From the 5th - 8th of June 2014 the Executive Committee (ExCo) of the Ecumenical Youth Council in Europe (EYCE) met for their regular meeting in Madrid, Spain. The ExCo also took the opportunity to meet the representatives of EYCE's Member Organisation in Spain, as well as establish new contacts with young people in Madrid. Read more. Environment and sustainable development have been among the mostly debated issues on the level of the international politics, within the civil society, as well as the Churches. Regular high level political meetings take place to negotiate the contribution of global players to reduction of the harmful effects of the mankind to the environment, through emission cuts, renewable energy and legislative mechanisms, that would support sustainable development. The EU is among the major players in the global climate negotiations. Nevertheless, great discrepancies between different components of eco-justice can be witnessed in Europe - there is pollution, extreme poverty, injustice and isolation. Sustainability is not yet at an affordable price for many Europeans. What can young Europeans do about it? The event will take place on Tuesday, 9 September 2014, 18h30 at the premises of the Secretariat of COMECE, Square de Meeûs 19, 1050 Brussels. Find the full invitation here. Registration is possible here. Read more. You can follow the work of EYCE also on Facebook - check out and like Ecumenical Youth Council in Europe and Break the Chains // EYCE's Campaign to Overcome Poverty. This will help us to build more visibility for our work, as well as more credibility with the donors supporting us. Thank you!